Joe Ingles is an Australian Professional Basketball Player who plays for the National Basketball Association (NBA). 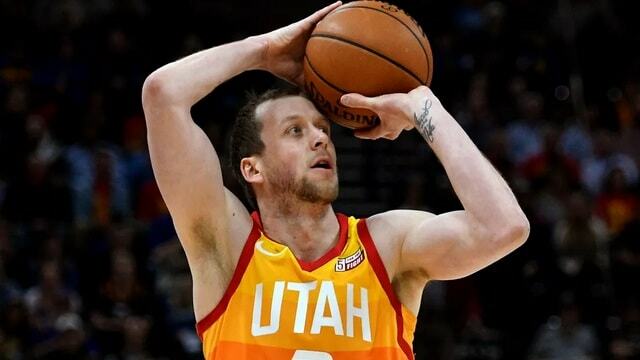 As of 2018, Ingles currently plays for Utah Jazz as their Small forward. The former rookie of the year has also played for Maccabi Tel Aviv, FC Barcelona, and CB Granada previously. Ingles has an estimated net worth of $30 million and has an average annual salary of $13 million. Ingles is married to his longtime partner Renae Hallinan, an Australian Netball Champion. The couple has been blessed with a beautiful twin; Jacob (son) and Milla (daughter). Joseph Howarth Ingles was born on October 2, 1987, in Adelaide, South Australia to parents Tim Ingles and Lynne Ingles. His star sign is Libra. He grew up alongside his older sister Megan Ingles. Ingles attended Lake Ginninderra College and later joined the Australian Institute of Sport (AIS) in Canberra. Ingles also played Australian rules football and cricket besides basketball in his younger years. He wanted to play for Australia and Adelaide 36ers. As per reports, Ingles was offered a two-year deal worth $13,000 by the 36ers. As of 2018, Ingles has an estimated net worth of $30 million and an annual salary of $13 million. In 2017, Ingles signed a 4-year contract worth $52 million with Utah Jazz, which includes guaranteed $50 million. As of 2018, Ingles has made over $35 million from his NBA career. As of 2018, Ingles is the fourth best-paid player of Jazz after Rudy Gobert, Derrick Favors, and Ricky Rubio. There is not much detail information about Ingles's Car collections and houses. Ingles's professional career began in 2006 with an Australian National Basketball League (NBL) team, South Dragons. During his rookie season, he appeared in 34 games and averaged 15.3 points, 4.9 rebounds and 3 assists per game that won him the Rookie of the Year Award. During 2007-2008, Ingles averaged 15.4 points, 6.3 rebounds and 4.9 assists per game for Dragons in total 30 games. In July 2009, he signed with Spanish club CB Granada of the Liga ACB. In November 2010, Ingles transferred to FC Barcelona, signing a three-year deal with the club. On October 29, 2014, Ingles made his NBA debut for Utah Jazz. On July 10, 2015, he re-signed with Jazz to a multi-year contract. On March 17, 2016, Ingles averaged with 15 points and career-high 6 steals in a 103–69 win over the Phoenix Suns. In 2017, Ingles signed a 4-year contract with Jazz worth of $52 million. Ingles is married to his longtime girlfriend Renae Hallinan, who herself is a pro athlete. In 2009, the professional netballer was awarded International Player Of the Year. In 2015, the couple had a beautiful wedding ceremony at Bird In Hand Winery in the Adelaide Hills, South Australia. In 2016, the couple gave birth to beautiful twins; Jacob and Milla. Ingles's wife Hallinan is the former gold medalist in the 2014 Australian Diamonds Commonwealth. Before marrying each other, the couple enjoyed a dating relationship for around nine years. 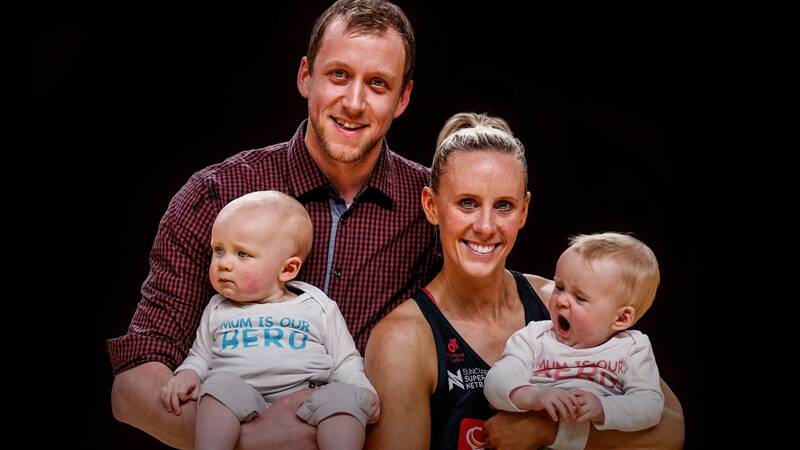 After marrying Ingles, Renae moved to America and has retired from her Professional Netball career. Apart from being a famous face in the NBA, Ingles is also quite popular in Social media. He has more than 143k followers on Instagram and 137k followers on Twitter. As of 2018, the NBA star is 31 years old. The former NBL champion has an impressive height of 6 feet 8 inch (2.03m) and has a weight of 103 kg (226lbs). Ingles has a tattoo of his wife's and both his kid's name on the wrist.